Relive the Bricsys 2017 Conference with our official after movie! That’s a wrap! The Bricsys 2017 conference has concluded. Thanks for tuning in! 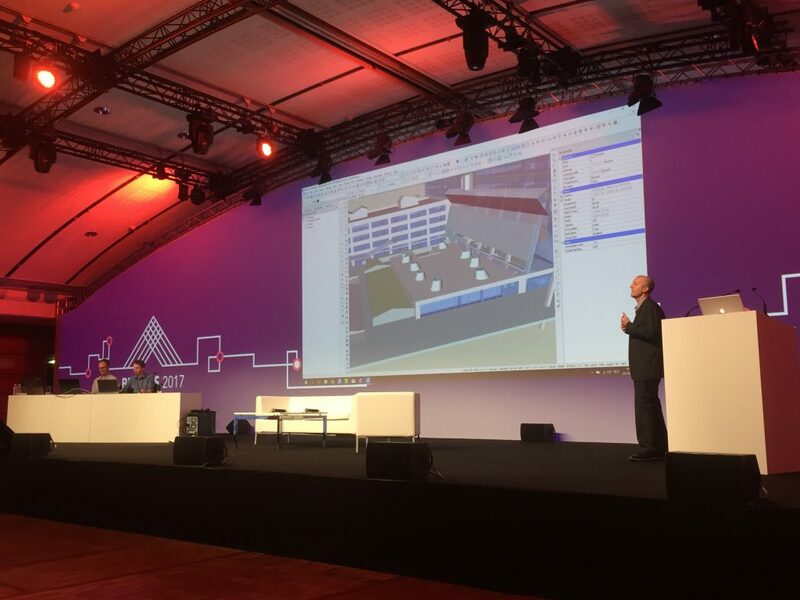 Jacob De Sutter and Kevin Settlemyre are demonstrating BricsCAD Shape, our latest product announcement! A design-centric modeling tool, with a user interface that delivers just what you need to be creative without limits. Create simple and easy models in Shape. Free of charge and coming in early 2018. We’re coming to an end of the Bricsys 2017 Conference. “I have been to tons of other conference where they show different products for the same thing. 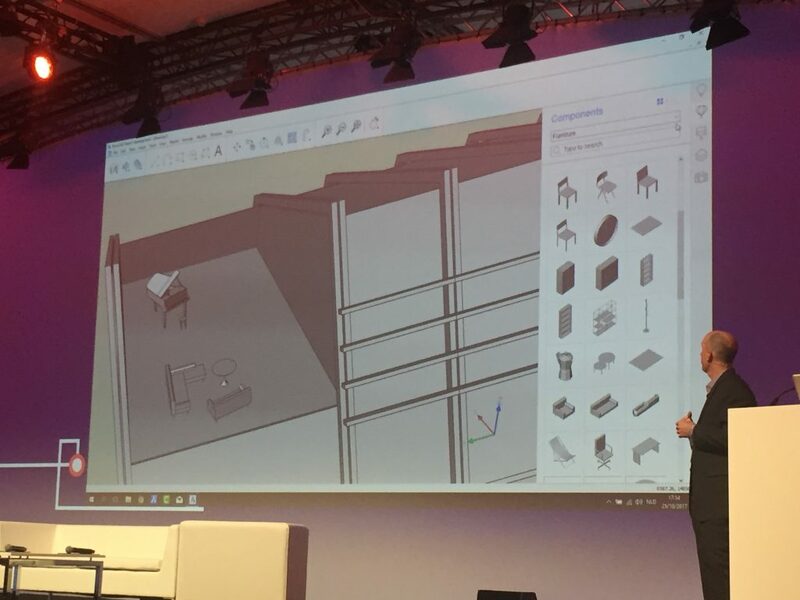 The simplicity to the end user is amazing, BricsCAD is just one product and one interface. It’s stable and a real option.”says Vince. 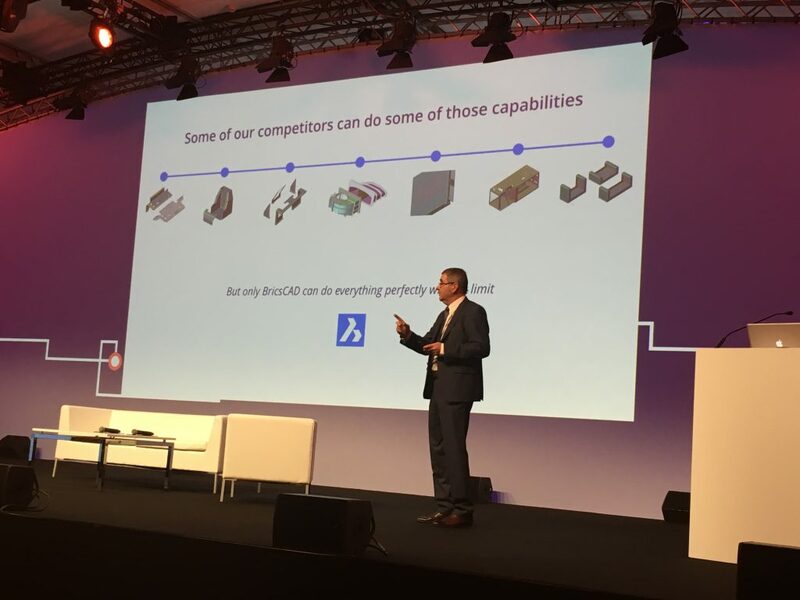 Robert Green gives his reasons for being drawn to Bricsys. Benchmarks, licensing, costs, responsiveness of development team. BricsCAD consultant, Vince Aman and Robert Green, CAD manager, are talking about their experience with BricsCAD. Panel discussion @ Bricsys 2017. 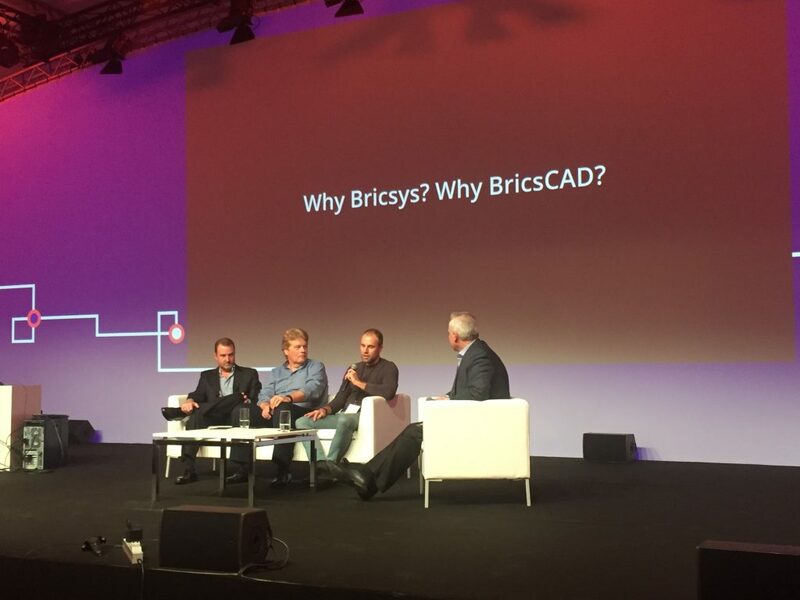 Starts with an end-user, Mikael Nordvall, on Linux and why he choose BricsCAD as his solution. Upload and share your BricsCAD BIM models and drawings, securely, with full XREF management. View 2D & 3D CAD files, and 70 other file types, directly in your browser with Bricsys 24/7’s integrated viewer. 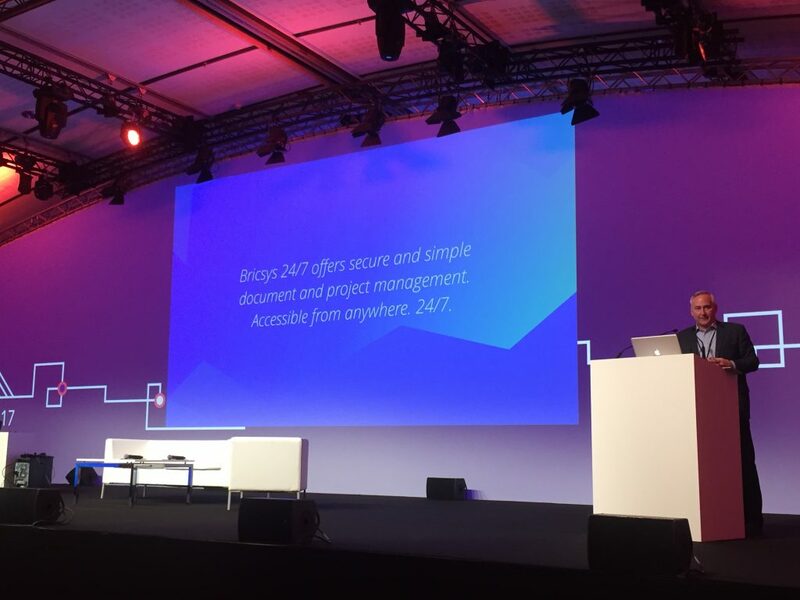 Don Strimbu and Jurgen Schepers are announcing Bricsys 24/7, our (old but) new cloud collaboration platform. More and more developers are choosing to port their application to BricsCAD. Solid APIs, speed and performance, and the best developer support in the industry. IFC is the main open exchange format used in BIM software. More than 205 applications support IFC. BricsCAD BIM’s IFC import is now certified by BuildingSmart. Kevin just showed BIM Suggest. 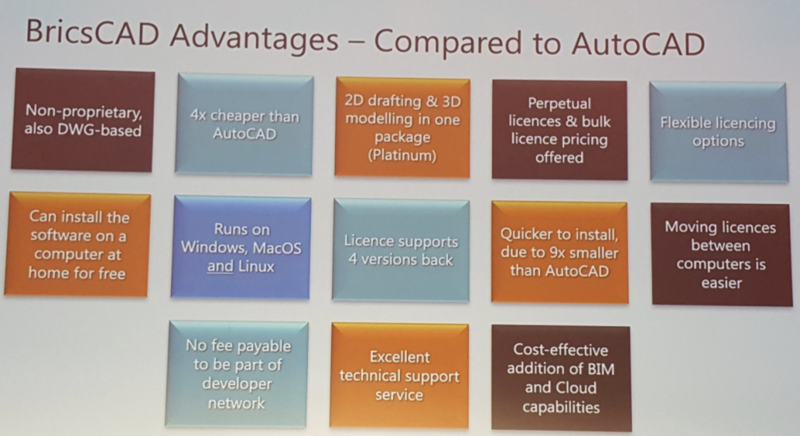 It’s about machine intelligence inside of BricsCAD BIM. Select any two solids and BIM Suggest will analyze their connection, and highlight similar situations in the model, where the same connection can be applied. Parametric arrays let you control the number of entities in the array with a parameter. This gives users great flexibility in creating stairs, curtain walls and the like. The new Window Creator Tool lets you create parametric windows as easy as 1-2-3. Step 1, define a polygon and select. Then, choose a window style. Step 3, apply or alter parameters. The new BIMIFY feature automatically identifies your building objects and classifies them in the structure browser. We had a great lunch and now Kevin Settlemyre, Pieter Clarysse and Jacob De Sutter will introduce you to the new intelligent BricsCAD BIM V18 features. Ilya Tatarnikov and Christian Lecomte demonstrate STEP import of a solid in BricsCAD V18. Automatic generation of parameters happens in the blink of an eye. BricsCAD is the only system that allows intelligent modeling of both buildings and mechanical assemblies in one system, with one file format – .dwg. Why BricsCAD Platinum should be your product of choice for mechanical design. There no difference in editing native or imported geometry: design intent is captured automatically. Changes made to your models are fast and robust. No need to re-create your designs from scratch, ever. It’s smart and easy. Direct editing operations respect geometric and dimensional constraints. The tools are easy in use and do not require deep learning: our platform is familiar to millions worldwide. We just had a little break and now we’re continuing with BricsCAD V18 Mechanical. 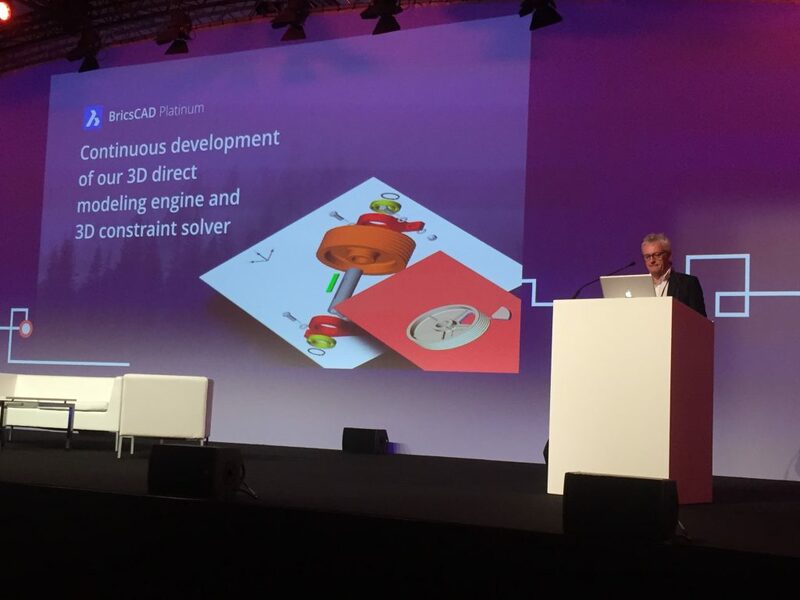 Peter Van Der Weijde from Hexagon PPM takes the stage and talks about why CADWorx runs on BricsCAD. CADWorx performance on BricsCAD is excellent. Why did Hexagon PPM choose us? Well, that’s easy. 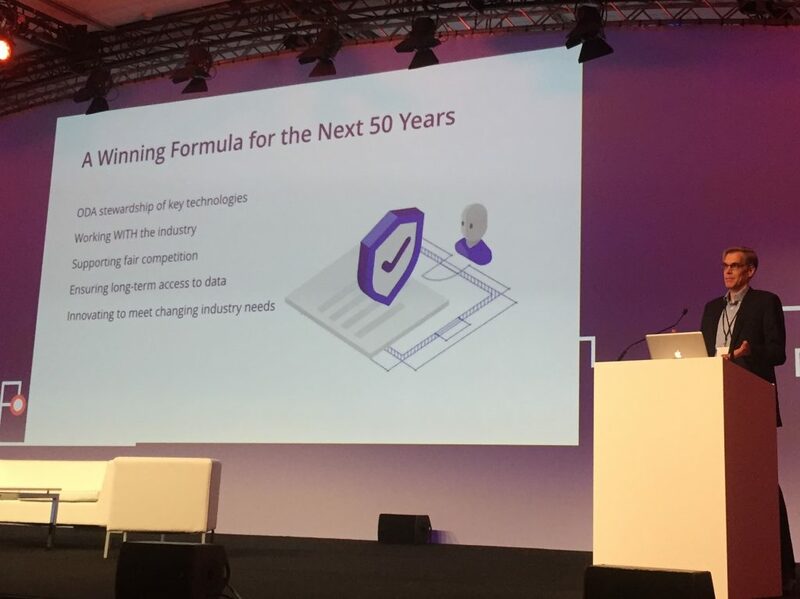 We offered independence from a single-platform solution, full license flexibility, friendly pricing and innovative technology. Collision detection of 200,000 components in 8 secs (8 mins in another CAD software). The new drawing repository technology makes this possible. View and zoom in and out of an 20-gigapixel image in BricsCAD V18 with ease, change transparency percentage instantly. 3D User Interface enhancements in BricsCAD V18 give better productivity through easier access to your data. 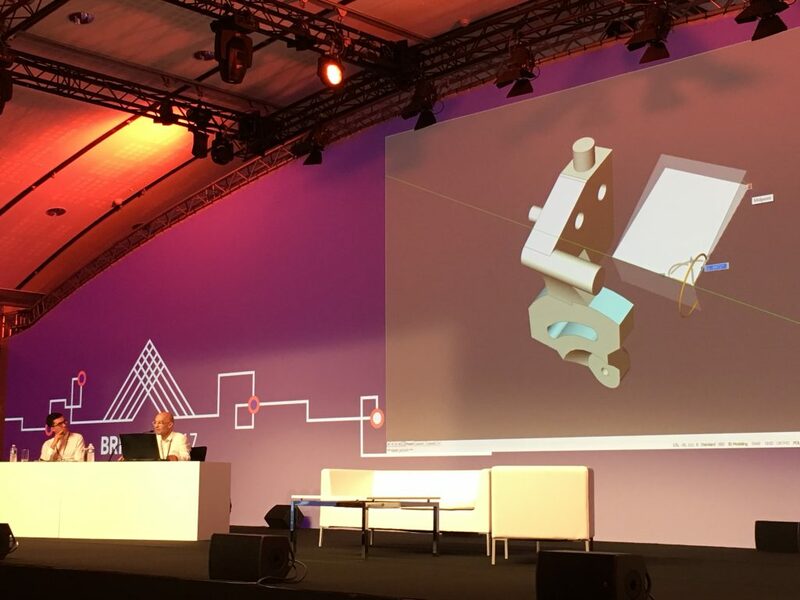 Hans De Backer, Head of BricsCAD Core Development, showing the Manipulator feature in BricsCAD V18. BricsCAD v18 offers a cleanscreen design mode, thanks to the Redway3D graphics engine. 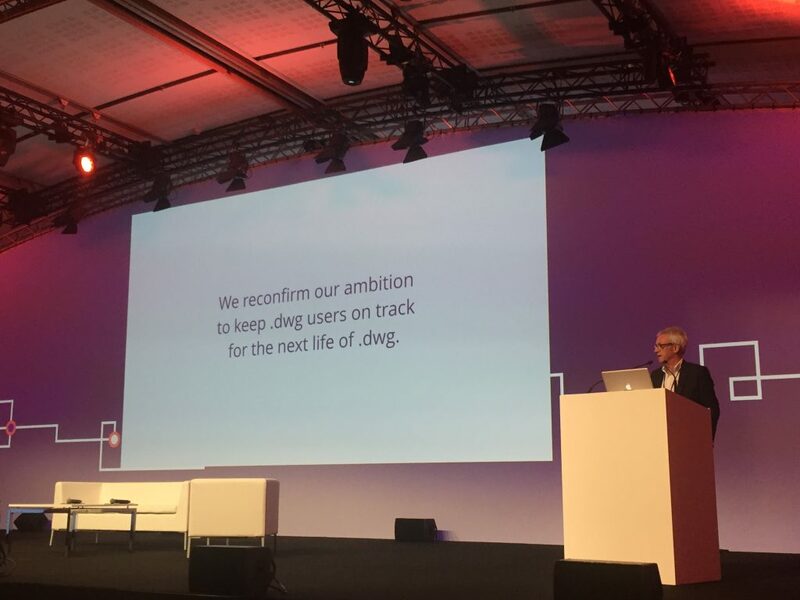 ODA CEO Neil Peterson talks about the plan for .dwg over the next 50 years, ensuring long-term access to data. I’m very glad to be part of this wonderful team. Organisation of the conference was top and I had the chance to meet face to face a lot of new people, people which until now I only text with them. Keep doing in this way in the future.